Due to recent developments around brexit, toughening laws and stepped up migration policies across European continent the number of migrant workers in Great Britain is drastically falling. This means that farmers can get involve less amount of cheap labor to grow and gather healthy crops. Eventually, it leads to many farms actually loosing up to 60% of their crops only because they harvest at inappropriate time in an attempt to save on labor costs. According to a recent research conducted in the U.K such considerable wastage for an average British farm - if converted to British ponds - may reach £ 100 thousand of lost profit on an annual basis. The worsening situation with labor shortage prompted researchers as KMS jointly with scientists at NPL to design what they called an intelligent harvesting machine. This ‘smart’ harvesting system among other electromagnetic spectra is also said to employ terahertz waves, which are known to be absolutely safe for humans and plants. The ultimate purpose is to enable seeing though the vegetation /leaves in order to check weather the main target ( vegetables) have ripen enough to be harvested. The scientist believe determination can be made using the size of the vegetables that can be indicative of the proper time for harvesting, among other relevant markers. In actuality, along non-destructive and non-invasion evaluation based on terahertz imaging technique (THz), British scientists plan to exploit some other adjacent frequency ranges of electromagnetic spectrum, like and the far-infra red (FIR), microwaves (MW) and even radio frequencies (RF). It is believed that altogether these four frequency ranges combined within such smart harvester will leave ‘no stone unturned’ in terms of checking the size of every meaningful peace of harvestable material in the fields. 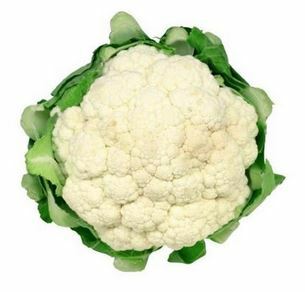 The crops that are considered to offer a favorable testing ground for this new technology masterpiece are cauliflowers, salad, broccoli, mustard, lettuces and the like. However, despite a reportedly successful demonstration of this multi-spectral imaging technology in Coventry earlier this year, there is still a lot of work ahead until the technology is fully developed and a final intelligent harvester prototype is produced. 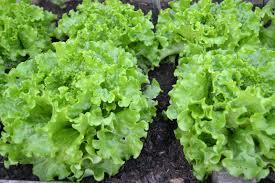 The good thing is that this project has picked the interest of G's, one of the largest lettuces producer in the UK that has provided adequate funding and commercial support and is said to be determined to take the project forward until its triumph.